Ask the local deck builders at the Ready Decks in your area about our inset bench options. 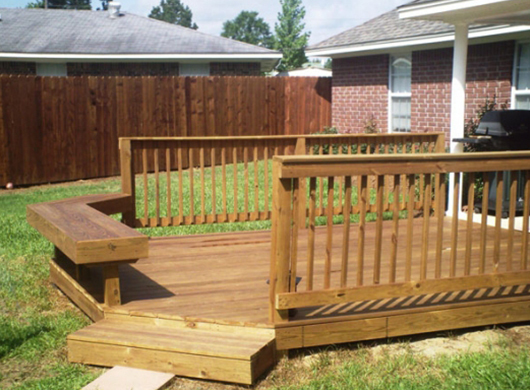 Adding an inset solid wood bench in lieu of handrails on your deck makes the perfect addition for anyone who wants a little bit of extra deck seating. These inset benches are perfect for big families and people who love to entertain!